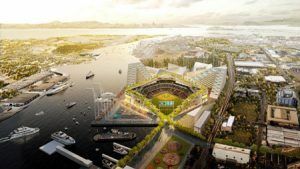 Danish architect firm, Bjarke Ingels Group (BIG) continues to meet with public officials, fans, and community members to gather more input and refine designs for the 34,000-seat Oakland Athletics ballpark stadium in California. One key update to the design is a more circular shape. 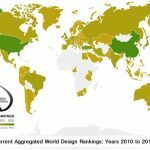 Last month, World Design Rankings (WDR) announced its updated listing of countries categorized based on the number of design awards won at international juried design competitions and awards. 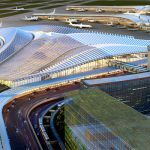 The United States took first place among 100 represented countries in 2018 with 48 Platinum Design Awards won globally. 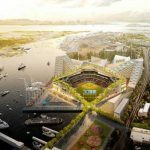 The Oakland Athletics, a professional baseball team based in Oakland, California, has teamed up with international architect Bjarke Ingels to build an urban ballpark at the Howard Terminal. The A’s also plan to redevelop the Coliseum site. 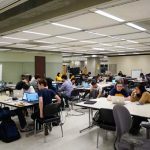 University of California, Berkeley library has selected architecture and design firm BNIM to help map out the next steps for the James K. Moffitt library.